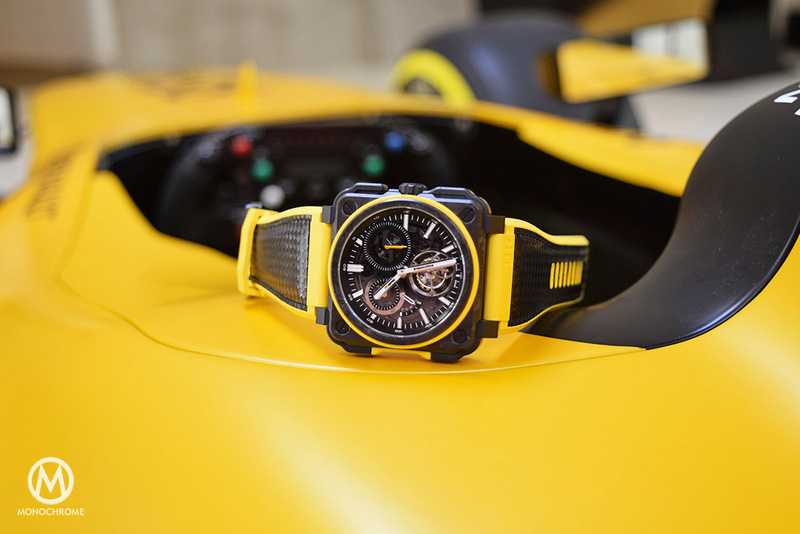 You might know the brand Bell & Ross mostly for their squared-shaped, instrument-like, aeronautical watches, including the iconic Bell & Ross BR01. 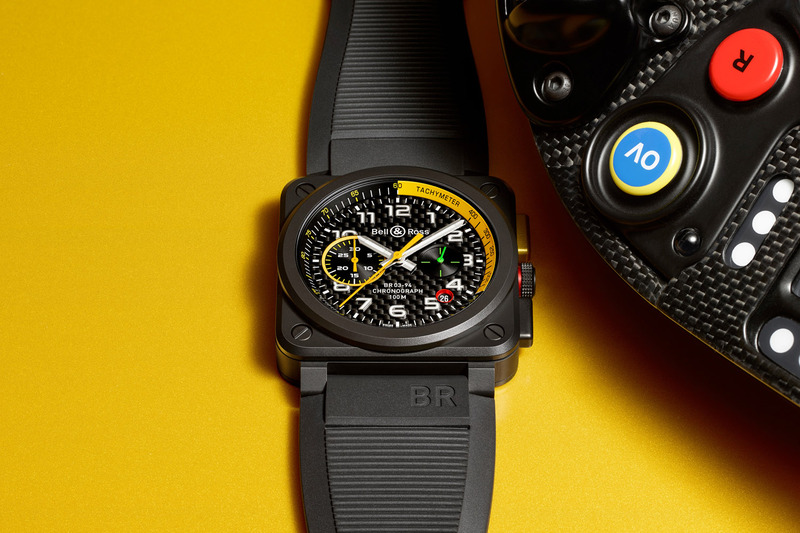 Recently, the brand moved to something more technical, less military-oriented, with the BR-X1 collection. 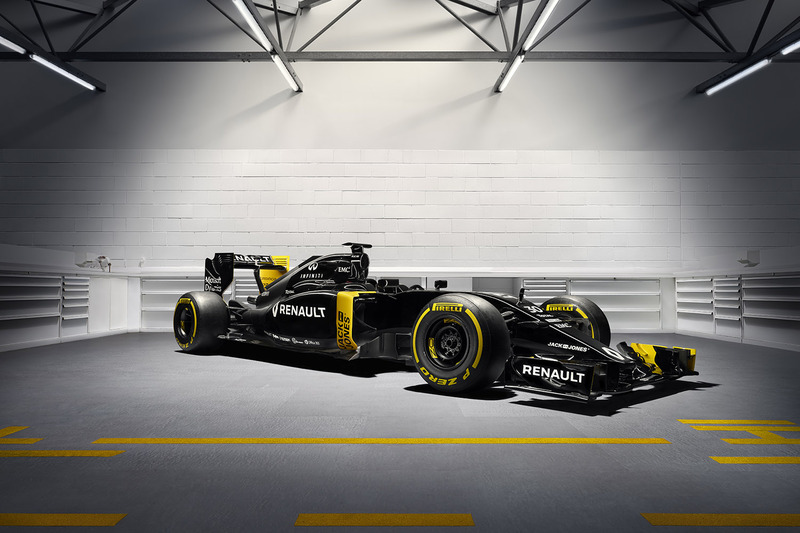 Well, it seems that Bell & Ross is in the middle of an important move, as they just announced a new partnership with Renault Sport Formula 1 Team – thus adding racing cars to an inspiration based previously on military planes. Besides the fact that we found it quite cool, this immediately drew some questions to us. What are the reasons of this partnership and (you know us here, at Monochrome-Watches…), what to expect in terms of watches? Thus, we sat down with CEO Carlos Rosillo to find out more about the Bell & Ross X Renault Sport Formula 1 Team partnership. 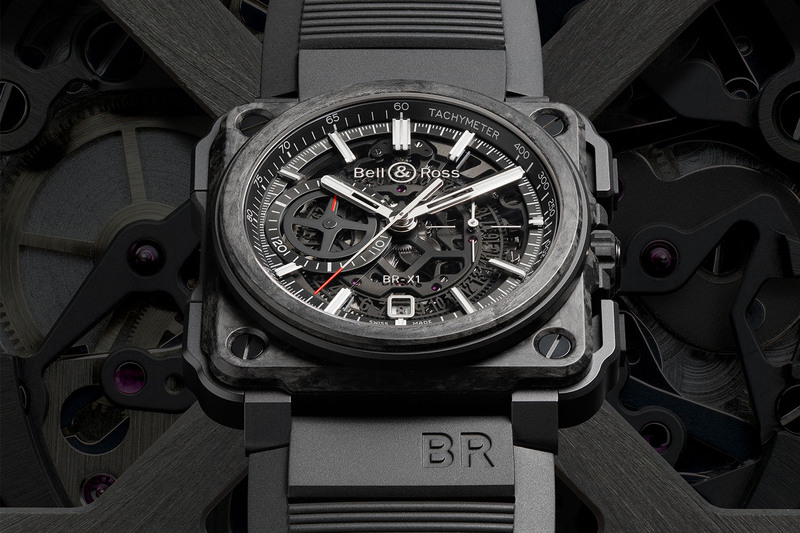 Monochrome-Watches (MW) – This is an important step for Bell & Ross. 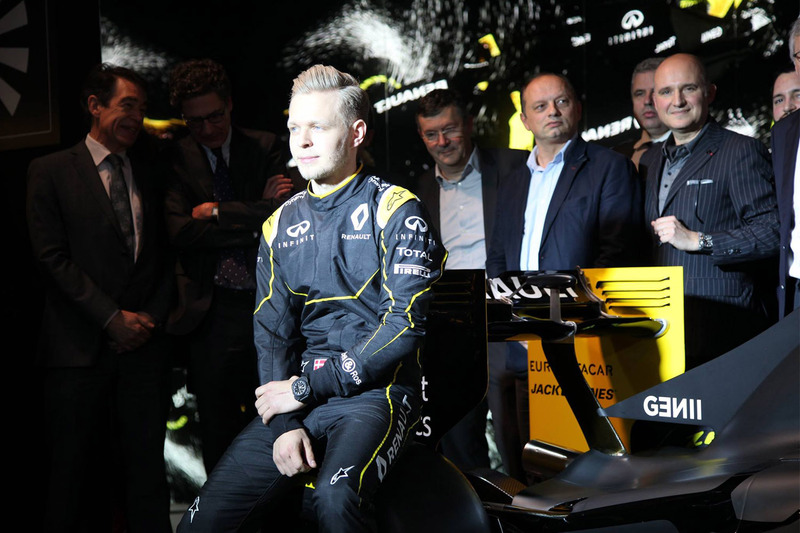 What are you expecting from this partnership with Renault Sport Formula 1 team? Carlos Rosillo (CR) – At Bell & Ross, we’ve always looked to push the limits of our creativity. So this new partnership with the Renault Sport Formula One Team is a completely new challenge for us. It all began with an encounter that gave us the desire to work together. We enter into a new universe, the Formula 1, with which we share common values like technicity, performance, excellence, innovation and we are very excited. Obviously this doesn’t mean that we’ll abandon our territory, the aviation universe, but this new project will help us to push the boundaries of our creativity. MW – With this entry in Formula 1 and with Renault Sport, are we talking only sponsoring or real partnership in both directions? CR – It is a partnership, arising from the passion for mechanics, speed and precision. We share the same quest: the race against time. Starting this season, Renault will enter Formula One more turned into lifestyle design. It is a new position on fashion and style, along with a history of success and innovation. 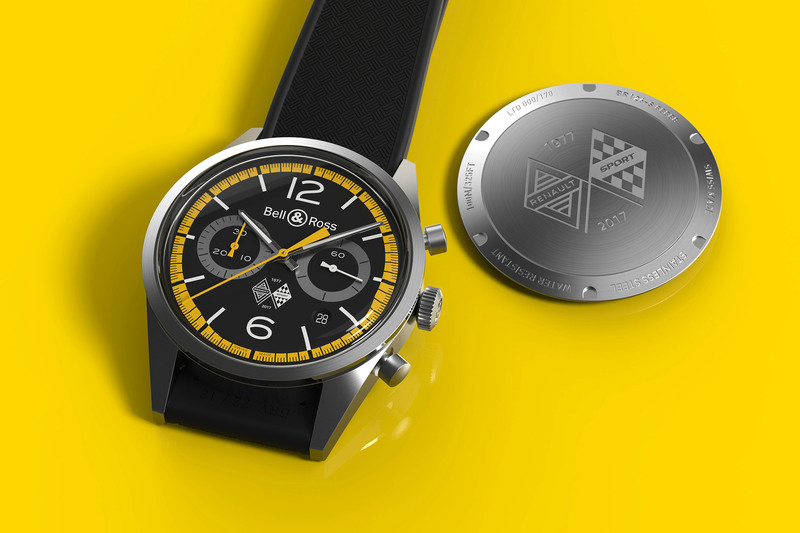 This new partnership aims to break with the traditions of Formula One as Bell & Ross did in the watchmaking sector eleven years ago when we launched what has now become our iconic square case watch, the BR01. 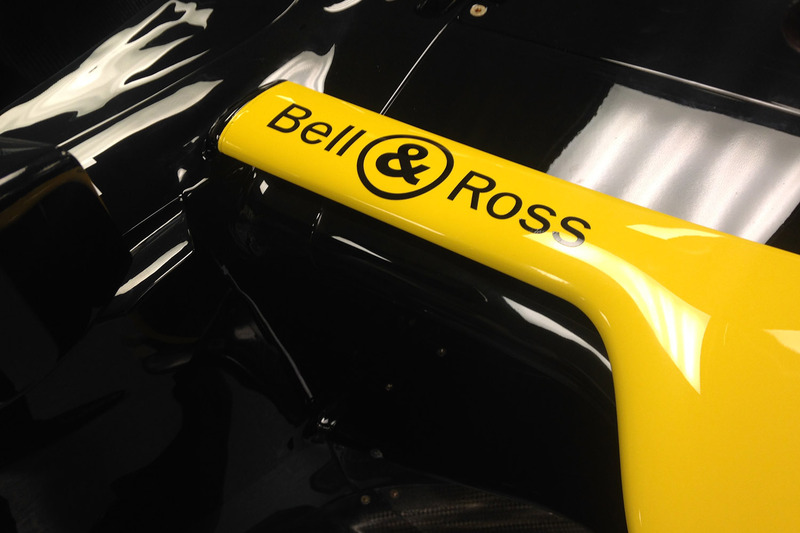 For Bell & Ross the partnership with Renault Sport Formula One Team will generate a worldwide Brand Awareness. Moreover, we’ll target the right audience for our brand: a strong engaged community of 25 to 45-year-old men, with high incomes, in search for innovative and high technological products. And last but not least, our commitment with the Renault Sport Formula One Team offers us a perfect creative platform for our newest line, the BR-X1, which is the extreme version of our iconic BR01, just like the Formula One is the ultimate version of a car. Both of the products in their domain are the guarantee of the ultimate performance. MW – Do you expect to learn from Formula 1 and from Renault Sport Formula 1 team, in terms of materials, construction techniques, resistance, lightweight…? 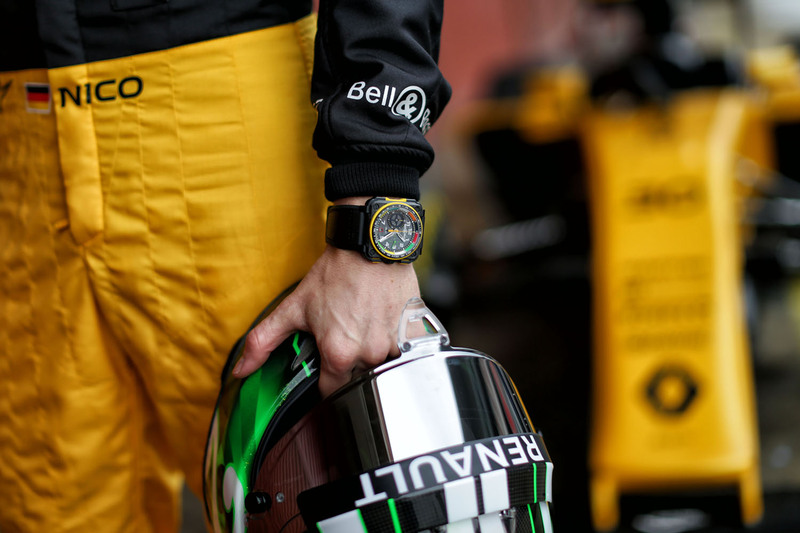 CR – Both watches and racing cars have the highest technical requirements. To develop a product, many hours of study, developments and tests are required. The results are the best technical and innovative outputs. With this partnership and thanks to the combination of expertise we aim to push the watchmaking discipline to another level, in terms of design, materials and techniques. The “Renault Laboratory” will be for us, as I’ve previously said, a tremendous source of inspiration, just like the aviation. We have always searched for radical designs and innovative materials from several domains, but aviation was and will be the best source of inspiration for us. 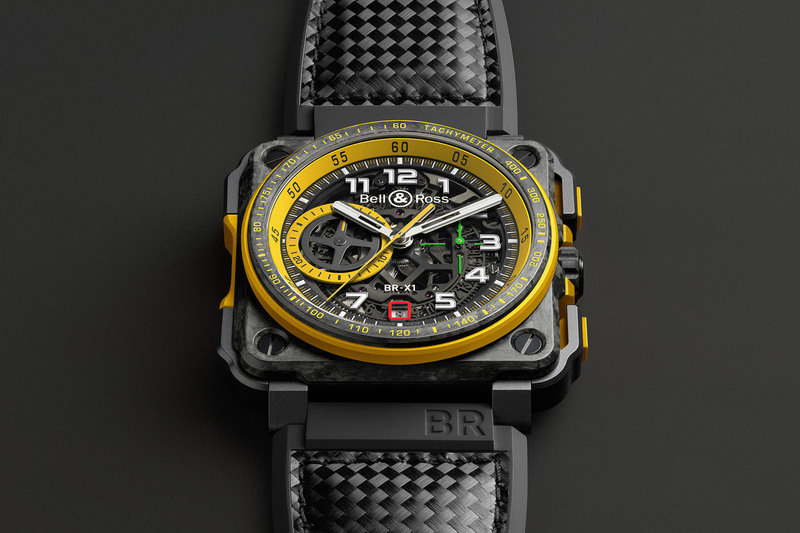 Our latest high-tech line, the BR-X1, is the living proof of our quest and the perfect match for the Formula One as well. Using materials like titanium or carbon, machined to incredible tolerances, allowed us to create a lightweight watch, yet built to resist to extreme shocks. MW – Without going into details, can we expect to see new collections, based on this partnership, in the coming months / years? 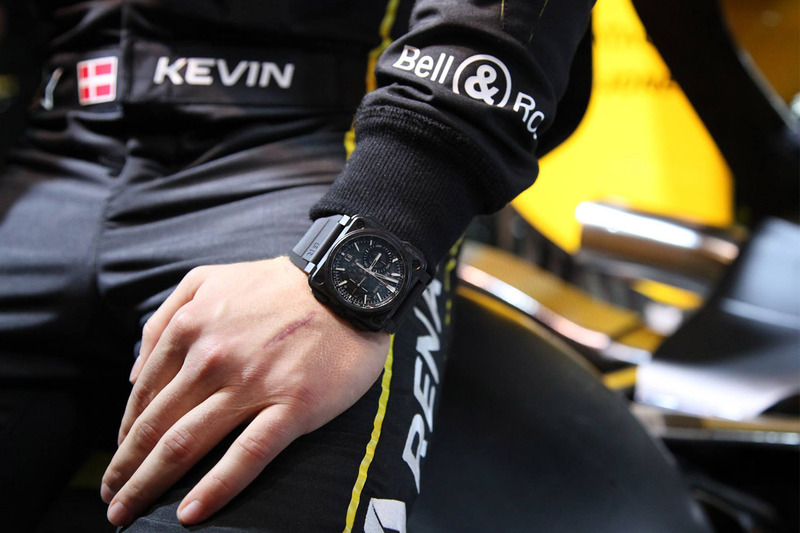 MW – Is this partnership with Renault Sport Formula 1 team a way to open Bell & Ross to new horizons? We all know your focus on military / aviation. Racing cars will be the new inspiration? CR – As I’ve previously said, we enter into a new territory with new challenges but this doesn’t mean that we’ll turn our back on the aviation universe. We’ll always remain faithful to our origin but it is normal for us to always search for new inspirational fields. With this new partnership, the opportunities in terms of creation are limitless. MW – On a business side, why is it so important for a brand like Bell & Ross to enter the world of Formula 1? CR – Formula 1 is the pinnacle of motoring, so entering this new territory is a form of reconnaissance of our know-how that we are very proud of. Moreover it is interesting for us in terms of market shares as we touch the Formula One fans, with a big potential, interested in the beauty of mechanics and innovation. We are dealing with passionate people with a strong club spirit as our Bell & Ross community. Love to have a monochrome-watches in 2017 with Magnussens logo (Mr F1).